Jeremy and Daphne have been together for ages, even longer than we have been friends [which has also been a hell of a long time considering that we all went to high school together]. 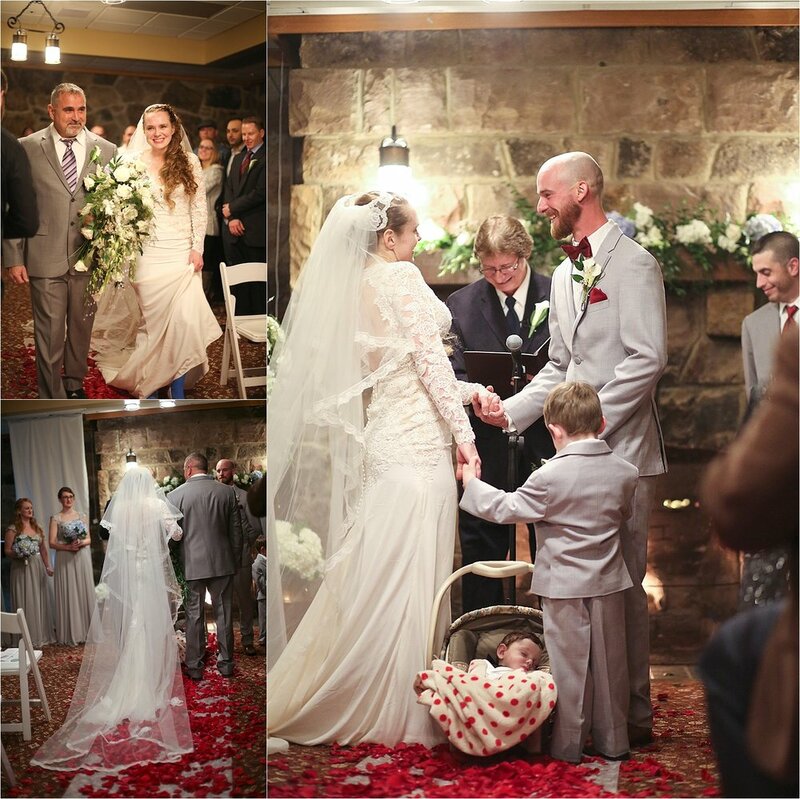 So, it was a huge honor to ring in the New Year photographing their Mountain Lake Lodge wedding! 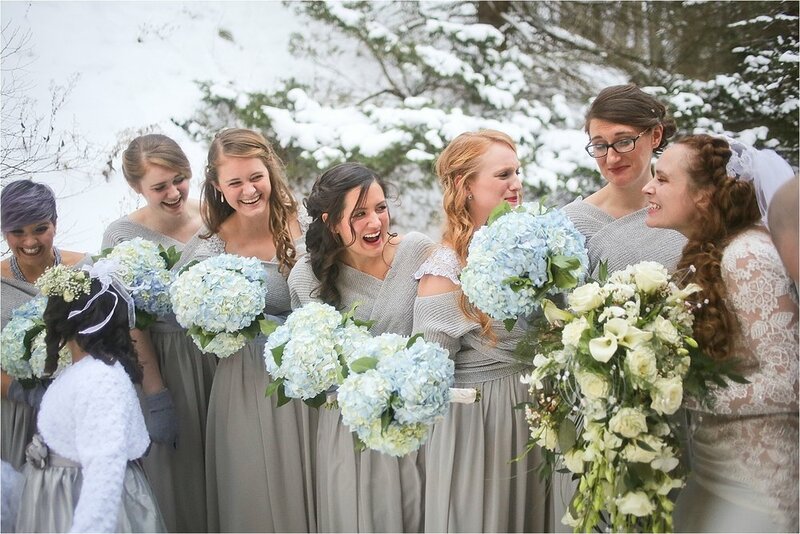 Mother nature gave them the wedding gift of a beautiful layer of snow atop the mountain which provided a stunning backdrop for winter wedding photos. 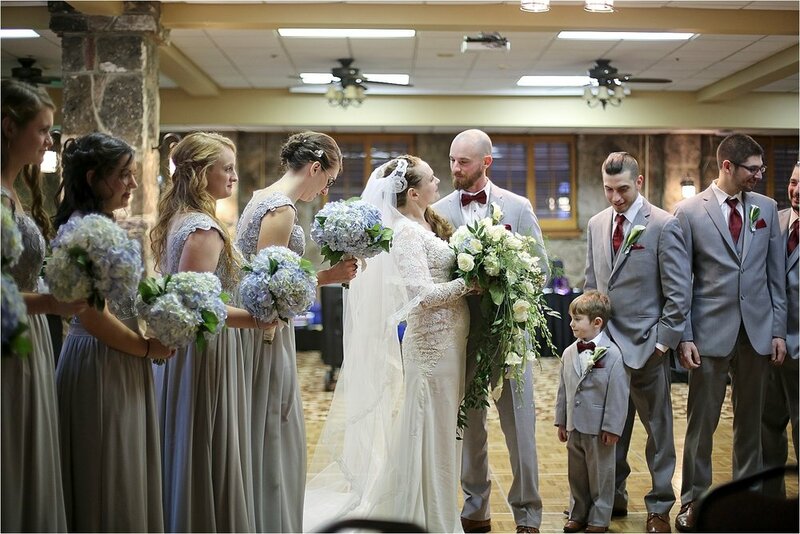 Their ceremony was originally planned to take place by the gazebo where Baby first takes lessons from Penny in the movie Dirty Dancing, but due to the snow, we all snuggled up close inside of the Lodge to stay warm instead. 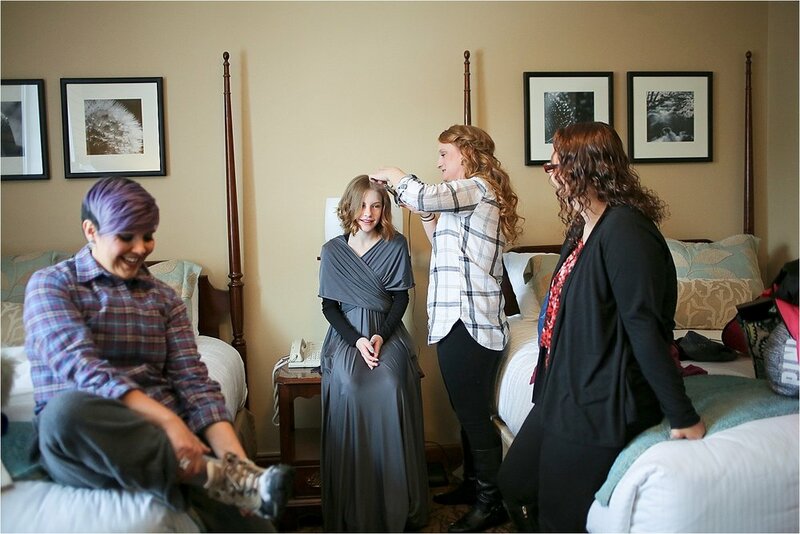 Daphne wore a beautiful long sleeve lace wedding gown with buttons down the back and the same veil and headpiece that her mother wore on her wedding day. Her bouquet was cascade style with white roses and calla lilies stretching elegantly to nearly reach the ground. Their wedding reception took place in Mary’s Barn. It was filled with string lights and I loved their light-up marquee letters that spelled out Daphne & Jeremy over the fireplace that was behind their sweetheart table. Guests enjoyed snapping fun photos in their photo booth which was provided by Swell Booth. We all danced the night away to the amazing live band, The Ruckus until we counted down till midnight and retired back to our cabins and hotel rooms at Mountain Lake Lodge.